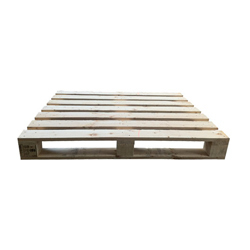 Pinewood EPAL Pallets are the most preferred solution for shipping purpose. These are made in compliance with European Pallet Association standards, hence widely recommend for distribution and transport chain in Europe. These EPAL pallets are specially designed to carry out several rotations and thus reducing the waste of industrial packing. Moreover, it can be also repaired and integrated if damaged.